Tom is an internal agile coach for Mentor Graphics Corp. His experiences as a SQA manager from the trenches of traditional project management are the fuel for his desire to help others learn the beauty of software agility. Tom initiated the rollout of Scrum at Mentor in 2008. Tom has trained 200+ coworkers on Scrum; the initiative for far has created 50+ teams spanning 4 countries. Tom provides coaching while helping to transform other teams. 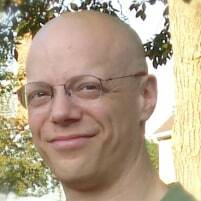 Tom is a Certified ScrumMaster, Certified Scrum Product Owner and Certified Scrum Professional. In the local community, he is an active volunteer for Agile New England currently serving as President, and helps organize local conferences such as Deep Agile and Agile Games. He is active with Boston SPIN (Software Process Improvement Network) currently as the Treasurer and Membership chair.